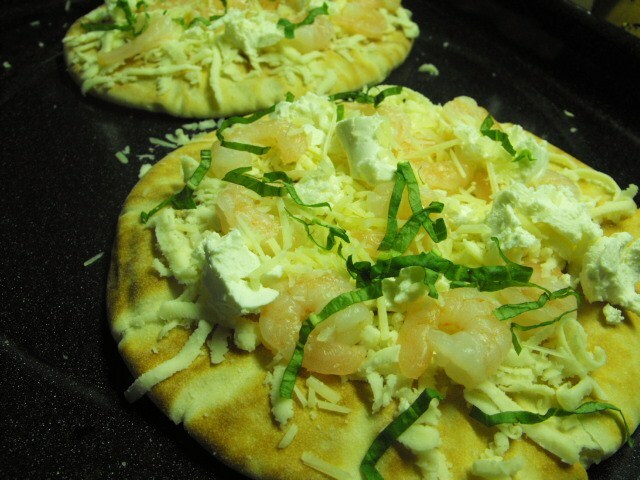 Sprinkle each pita with garlic, then mozzarella. 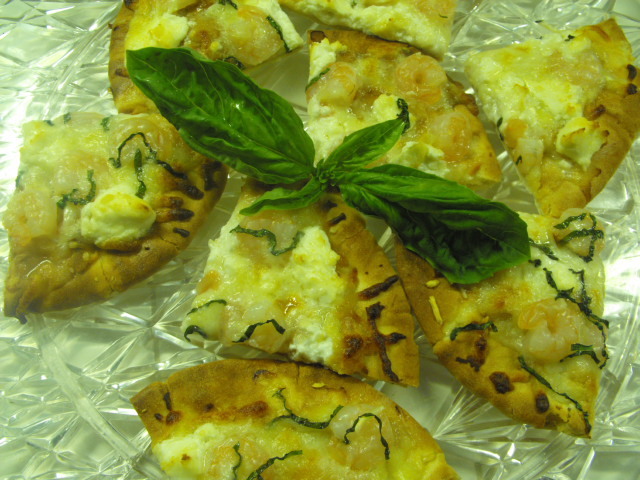 Divide goat cheese and shrimp among pita. Top with parmesan and basil. Broil 5 minutes or until bubbly and edges are beginning to brown, longer for a crisper crust. Serve whole or cut into quarters. 8 whole servings or 16 appetizer portions.